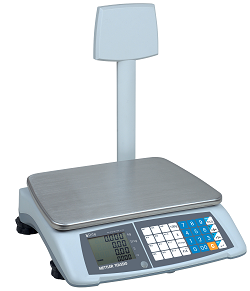 If you are searching either for a simple computing scale for your mobile business or a compact scale with integrated printing function: METTLER TOLEDO delivers the right solution suiting both your booth and your specialist store. We are pleased to be your partner that supports your decision for the right compact scale. The bRite line of scales is a stylish, portable retail scale suited to a range of retail environments such as open markets, mobile business or smaller specialty shops.